Shock Family Circus: "I Feel the Earth Move Under My Feet"
Unless you've been living under a rock, which in that case you would still know what's going on as you probably would have felt it, there was a magnitude 5.8 earthquake on the East Coast centered near Richmond, VA at 1:50pm. We're all fine. 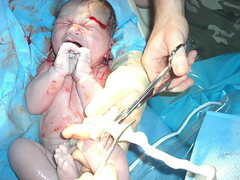 This should give you an idea of how it went. I was in my office and Jennifer and Fletch were just arriving home from running errands when it struck. I didn't know what it was, but my first thought was not an earthquake. I thought it might have been a freight train that runs close to my office building. Gridlock ensued and cellphone lines were congested, but a co-worker and I managed to make it home around 4pm. No deaths have been reported in the region. There are no reports of major damage to the nation's infrastructure. The worst destruction seems to be to the National Cathedral, which had its central tower and three of its four corner spires damaged, and to the Washington Monument, which cracked in a few places. The U.S. Geological Survey put the quake in its yellow alert category, meaning there was potential for local damage but relatively little economic damage. It was the largest on the East Coast since one of the same magnitude in New York in 1944. It was the largest in Virginia since a 5.9 quake in 1897. The largest East Coast quake on record is a 7.3 in South Carolina in 1886. 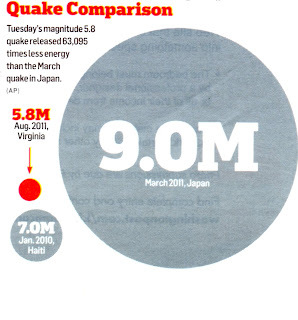 A 5.8 earthquake releases as much energy as eight tons of TNT, about half the size of the atomic bomb dropped on Hiroshima in 1945. 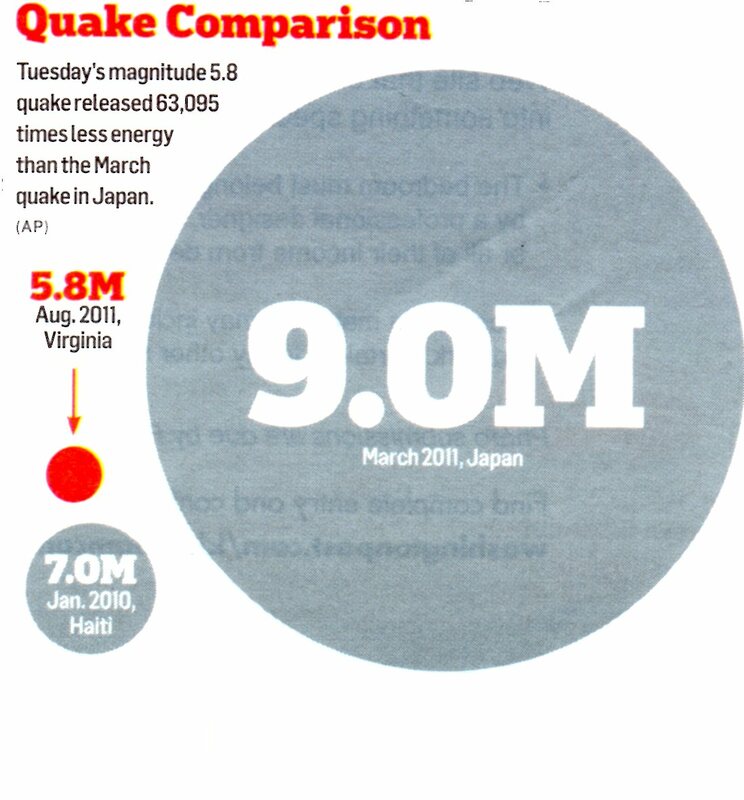 But it released 63,095 times less energy than the March quake in Japan. The USGS said earthquakes like this can happen "anywhere at anytime." There's a lot of unknown faults in the east that are very unlikely to strike, but do strike periodically. The earthquake didn't stop some Virginian's from voting however. Our friend Chris Wade who was running for Braddock District Supervisor narrowly lost the Democratic primary by only 42 votes! It's too bad because he put his heart and soul into his campaign. I volunteered a few Saturdays by canvassing and making phone calls. It was my first time volunteering for a political campaign. On the bright side, we get our friend back, his family gets him back and he gets his life back.